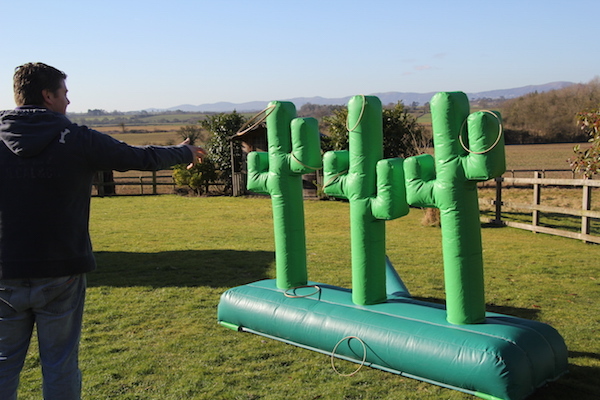 ‘Heee Har’ all you cowboys and cowgirls who want to prove your prowess at catching a wild steer! 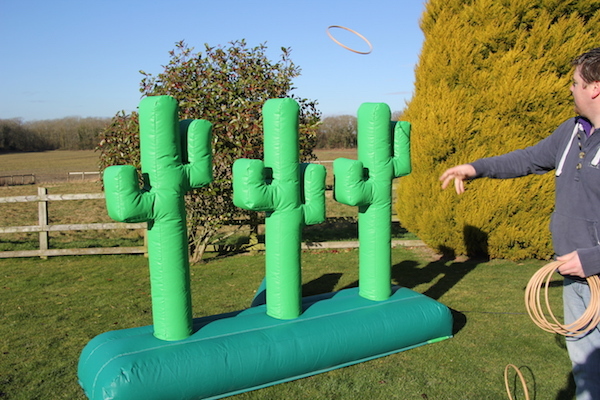 What better way than our Cactus Lasso Game which is based on the traditional hoopla game, this unique large inflatable game where all you have to do is loop your hoop around one of the arms or over the top to win is great fun but challenging. 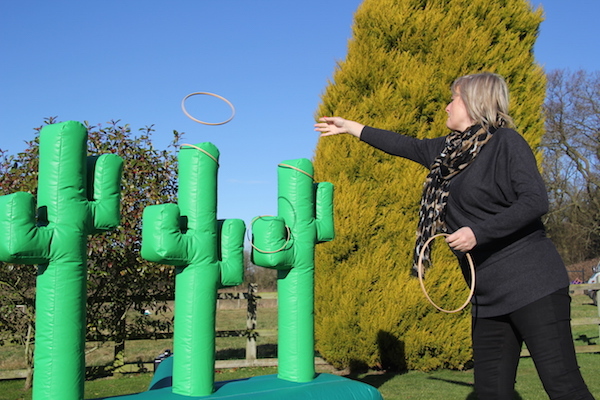 It is an ideal side game for both adults and children and will be a sure-fire hit at fetes and family fun days. 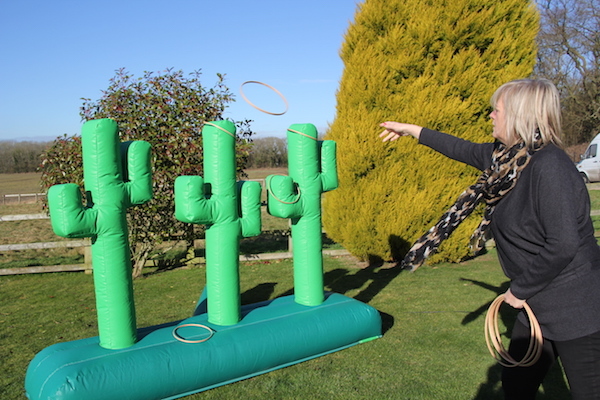 Our Cactus Lasso Game is around 6ft in height, have you got the skill and accuracy to get the hoop over the cacti? 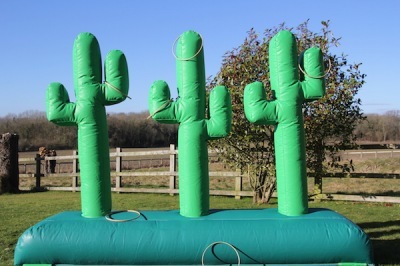 If you are having a Wild West Themed Party, Barn Dance or Corporate Event our Cactus Lasso Game is a must hire. 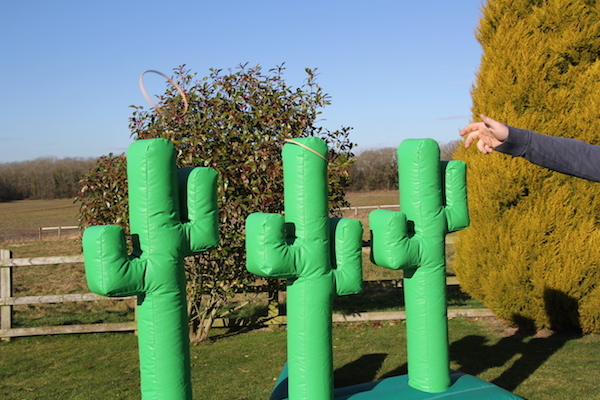 Cactus Lasso Game is an ideal accompaniment to our Rodeo Bull. 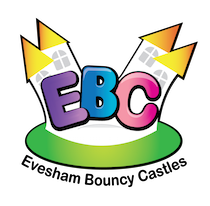 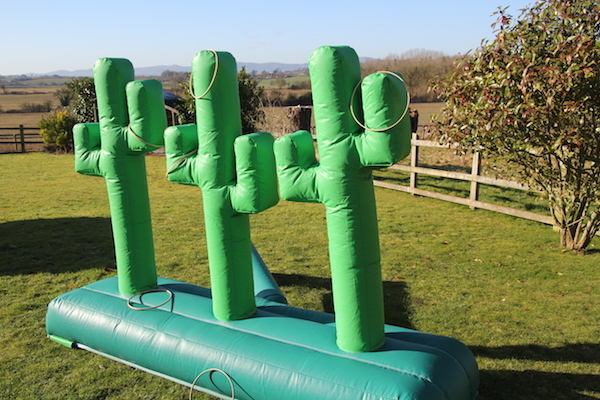 We hire the Cactus Lasso Game to all areas of Evesham, Worcestershire, Gloucestershire, Herefordshire, Warwickshire, The Midlands and all other parts of the UK and Wales when accompanying other equipment.